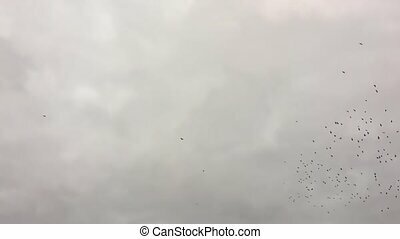 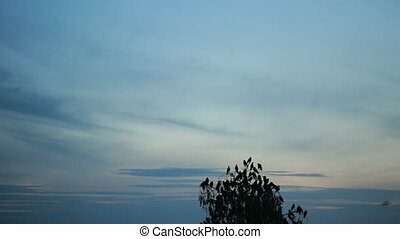 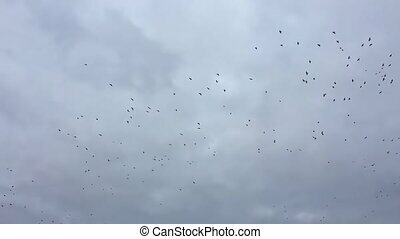 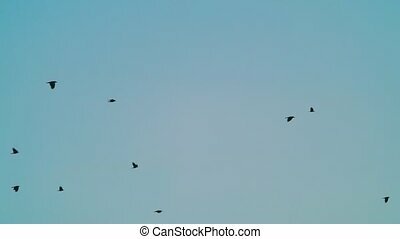 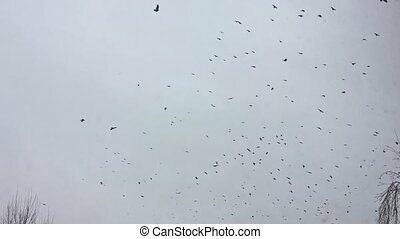 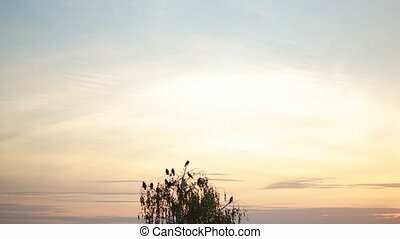 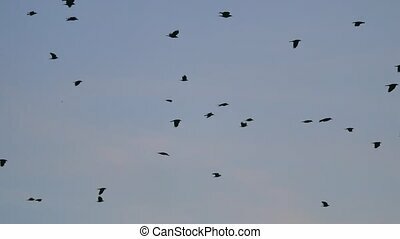 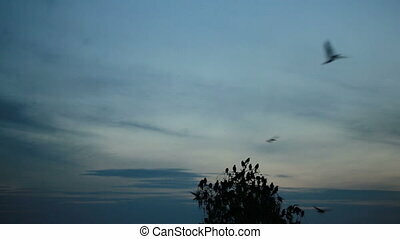 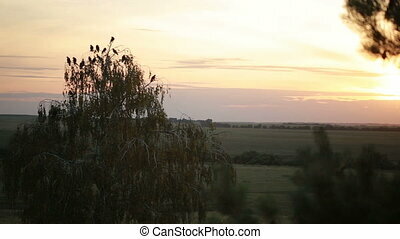 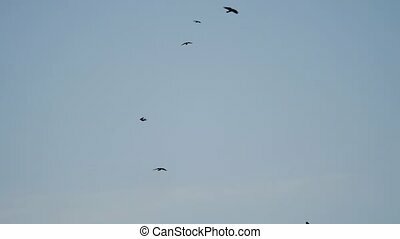 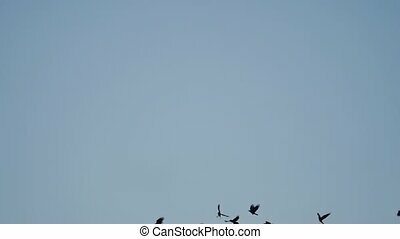 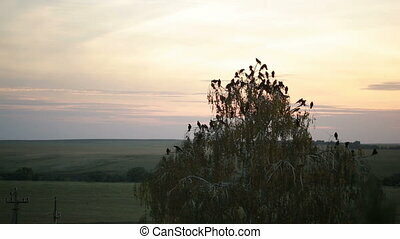 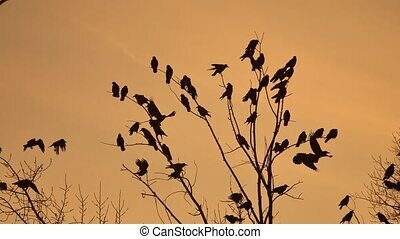 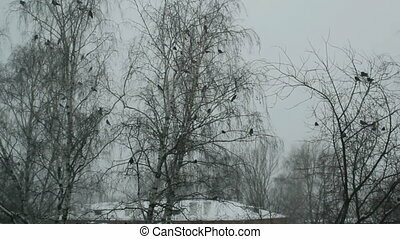 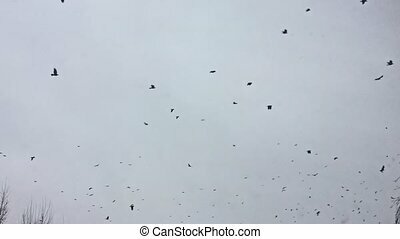 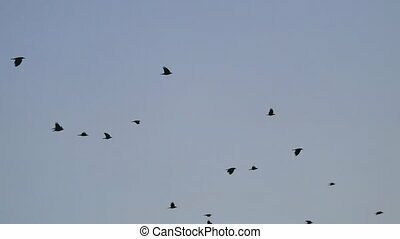 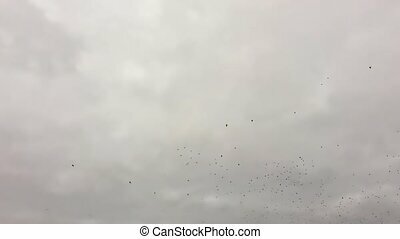 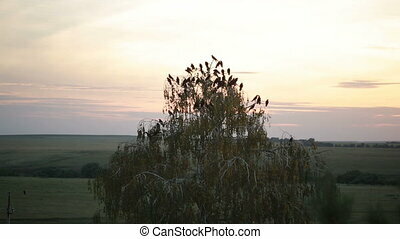 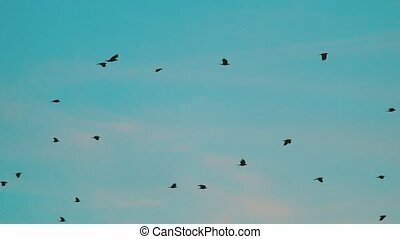 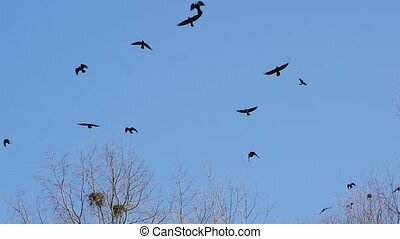 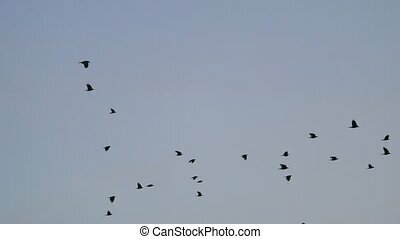 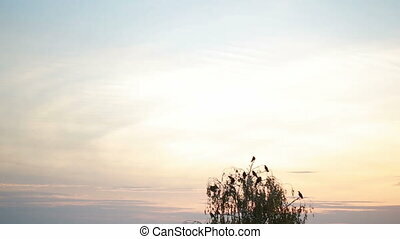 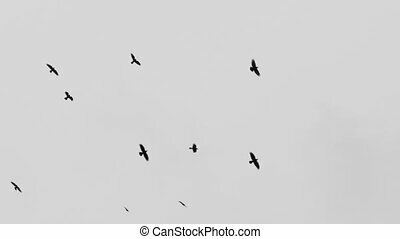 Birds circling in the sky, a flock of crows. 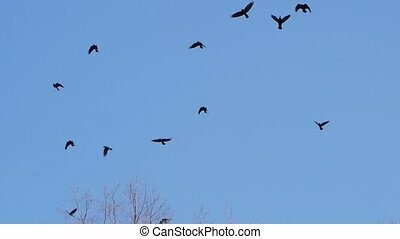 Birds circling in the sky, a flock of crows. 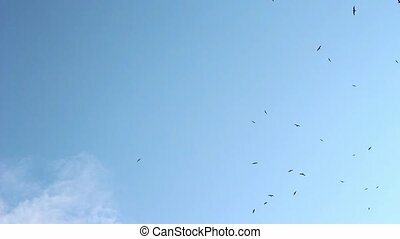 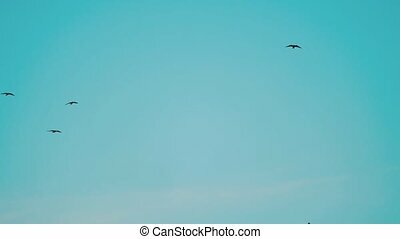 A flock of seagulls circling high in the sky above the river.